Tatnall Camp offers value added yet affordable remote wilderness getaway options. A range of packages are available which include comfortable guest cabins and numerous amenities including modern bathroom facilities. This unique destination is only accessible by train or float plane. Looking for a peaceful getaway location to take a little break from your everyday life? Then this is the place for you. Your time at Tatnall Camp will be an unforgettable experience. 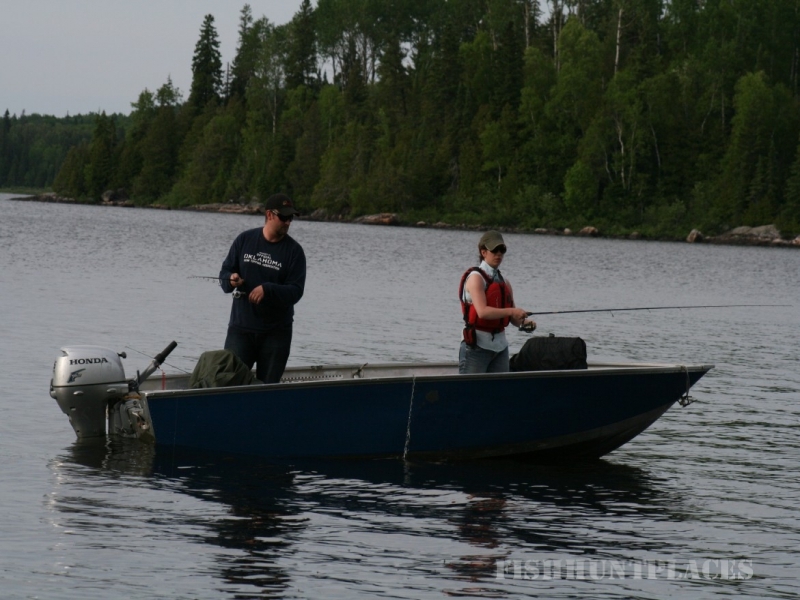 Our hunting packages include Bear Hunting, Moose Hunting and Small Game Hunting. 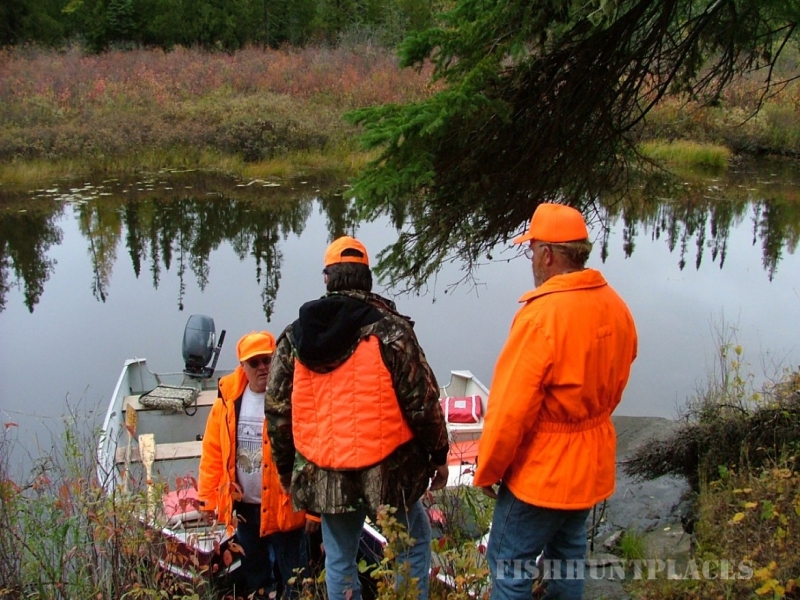 Because of our remote location near the world’s largest wildlife sanctuary, we are able to offer some of the best hunting opportunities in Northern Ontario. 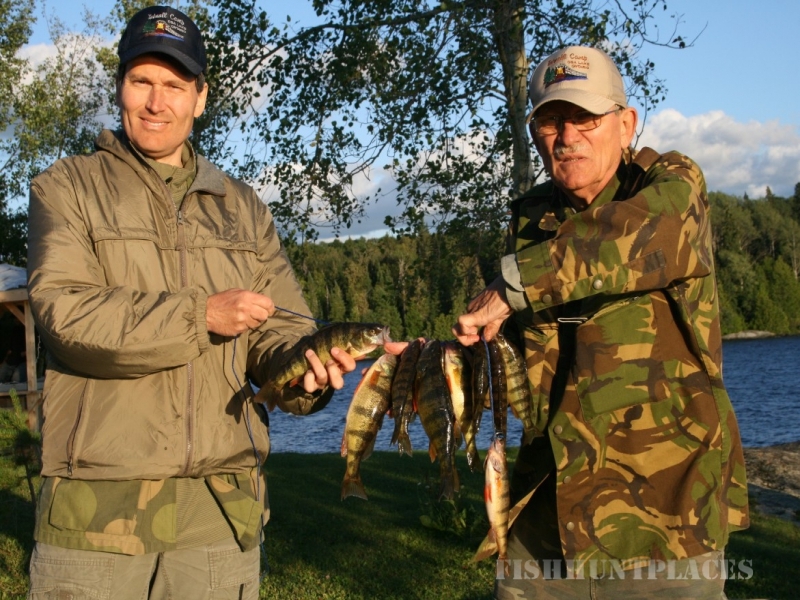 Your hosts have over 40 years of hunting experience in the wilderness. We cater to hunters of any experience level with hands-on service and assistance. Our goal is your success during your hunt, and we strive to achieve a high success rate. 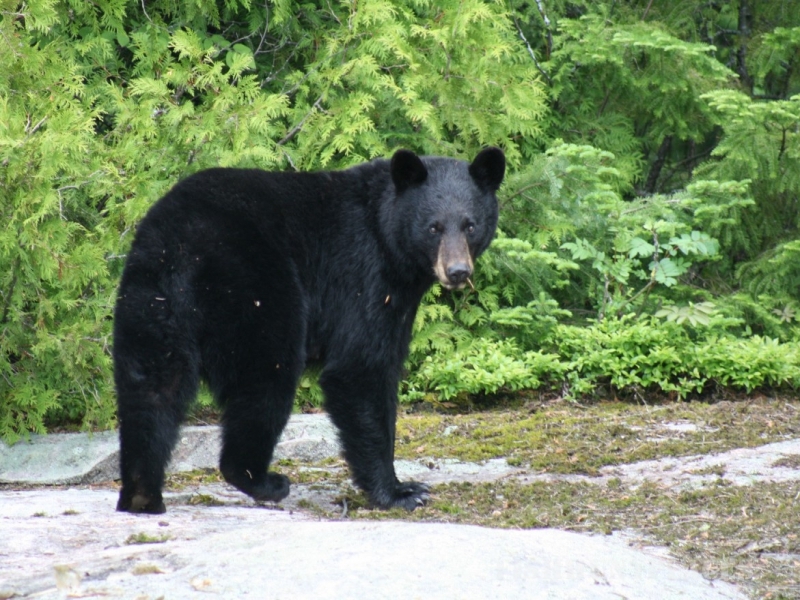 Tatnall Camp offers a high quality bear hunting experience in a remote wilderness environment. The majority of our hunting sites are within a 15 to 20 minute boat ride from the camp, so you spend less time traveling, and more time hunting. We limit the amount of hunters per week to five or six, so that we can provide better service to our hunters. Take on the challenge of hunting one of Ontario’s largest big game animal. The area around Tatnall Camp is rich with aquatic habitat that are frequented by moose. Hunters can find excellent hunting spots close to camp, or by taking a boat ride to nearby creeks, beaver ponds and wetland areas. Our proximity to the Chapleau Game Preserve allows for a healthy moose population in our area. 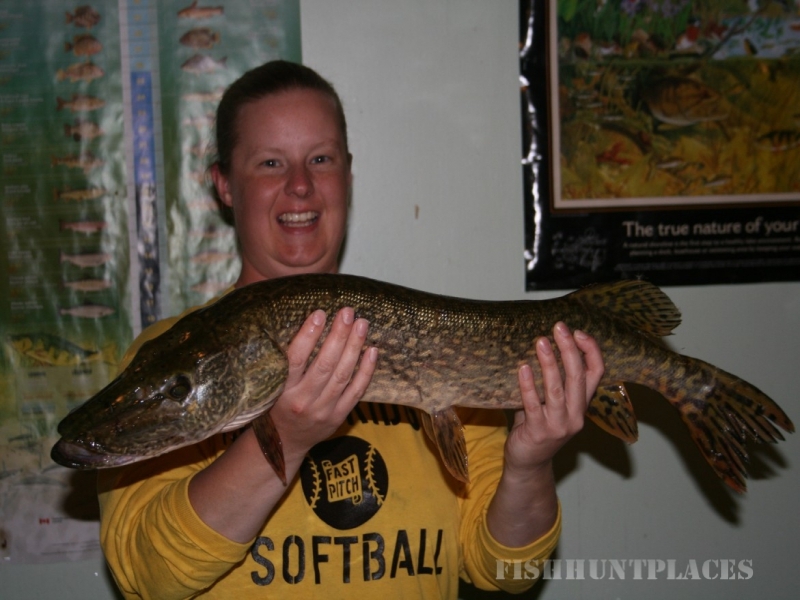 Are you looking for the excitement of a small game hunt? 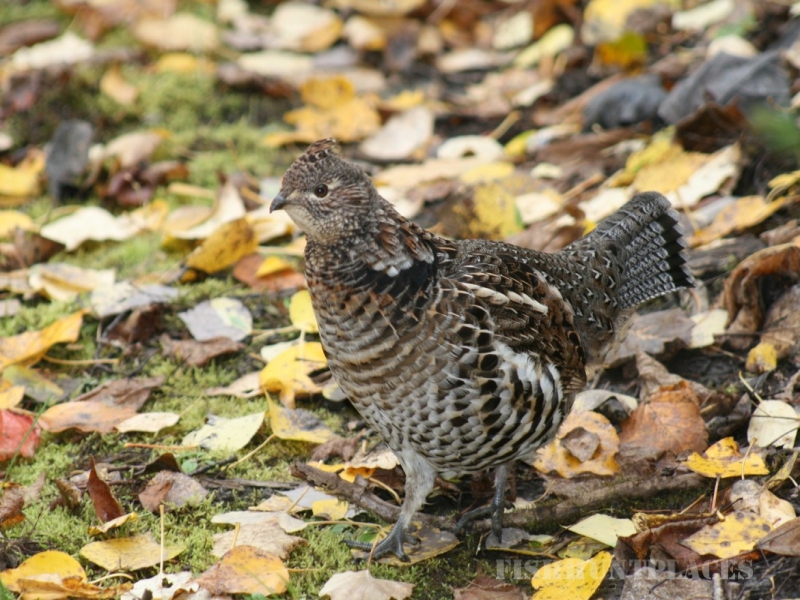 Ruffed grouse are abundant in our forests and sometimes they wander right into camp. For the hunter that enjoys walking or hiking, the search for grouse can make for many enjoyable hours in the outdoors. Snowshoe hare leave their telltale tracks in the snow after cold winter nights. If you enjoy the winter, you can try your luck snaring them. Any ice-fishermen are welcome to try snaring snowshoe hares. If you enjoy duck hunting, you are welcome to do a waterfowl hunt with us. We have a very high duck population, a large amount of wetlands and aquatic feeding areas, all very close to camp. The elusive timberwolf might be the next trophy you are looking for. We offer a very limited hunt during the winter months for this very wary and alert predator. We hear the wolves howl on occaision, letting us know they are out there, and like ghosts the appear out of thin air, and quickly disappear again if they catch wind of a human presence. This hunt will test your endurance, stealth and patience! 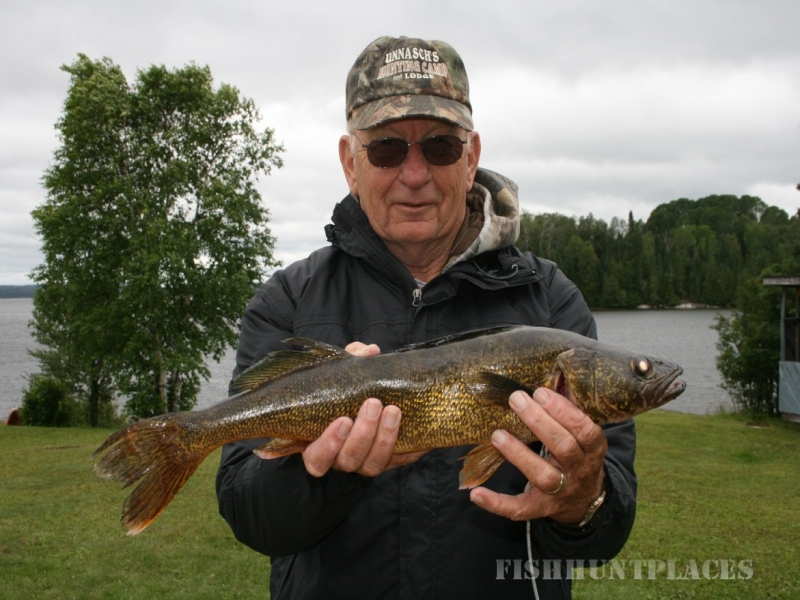 Thirteen mile long Oba Lake has many adjoining rivers and creeks which offer a natural feeding ground for a variety of fish. 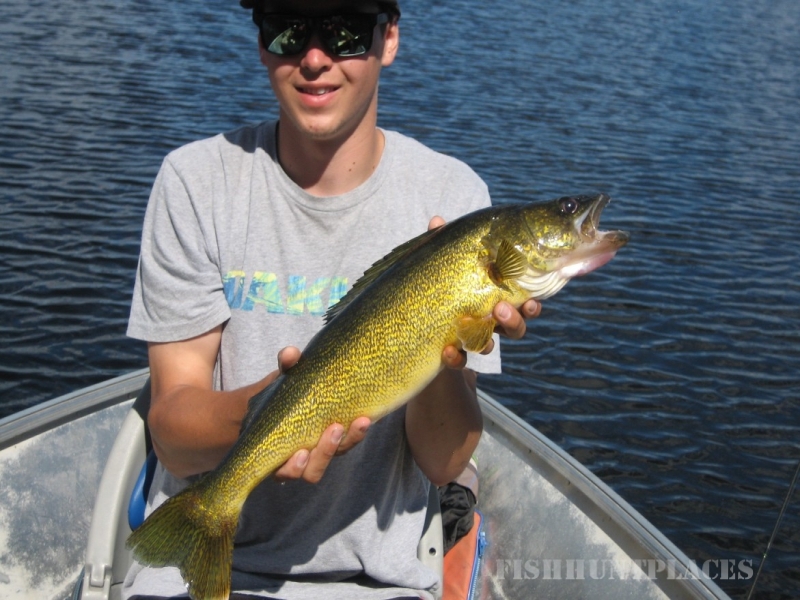 Fish the many rocky points, shoals, weedbeds and secluded bays throughout the lake. 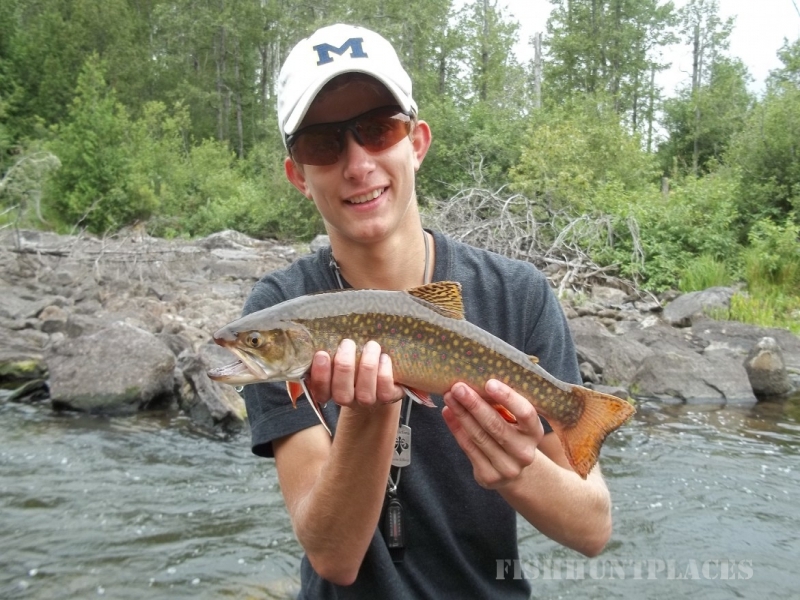 Or, fish the pristine waters of the Oba River, as well as multiple nearby creeks. Lake depths vary from 4 to 40 feet. Fly fishermen welcome. On a windy day, guests can fish the calm waters of the nearby Oba River and Tatnall Creek. Your can also relax in a lawn chair and fish off the dock. 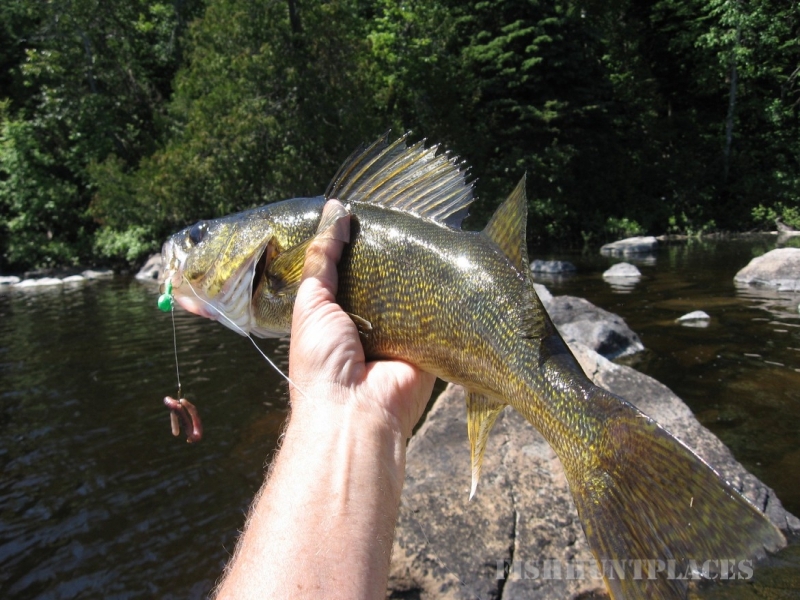 Sometimes, you can catch a meal of perch without leaving camp! 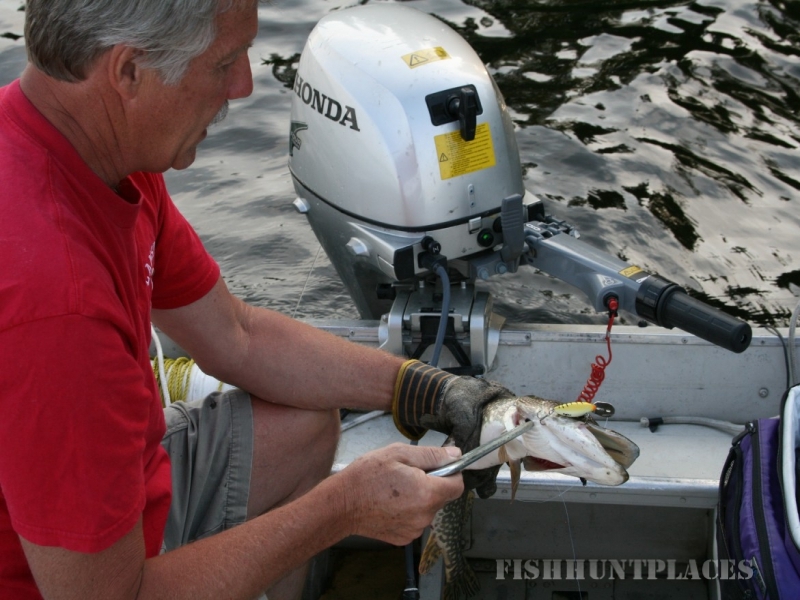 Guests also enjoy catching whitefish and herring using their fly rod during the June/July mayfly hatch.